We can make any surface flat. Made out of interlocking metal and plywood panels, suspended hard wood flooring can be covered by carpet. It is the perfect flooring for protection against waterlogged ground and to level an uneven surface. 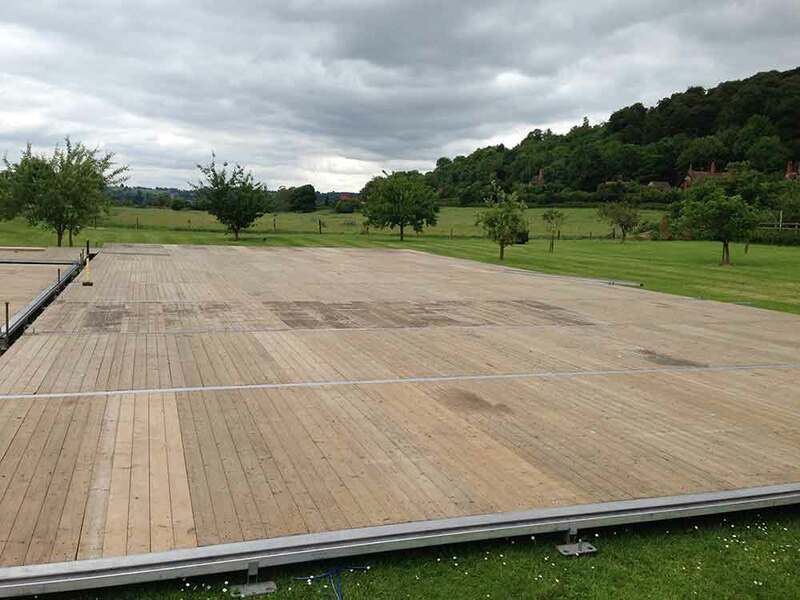 Top Hat Marquees are one of a very few companies who have a suspended wooden flooring system. 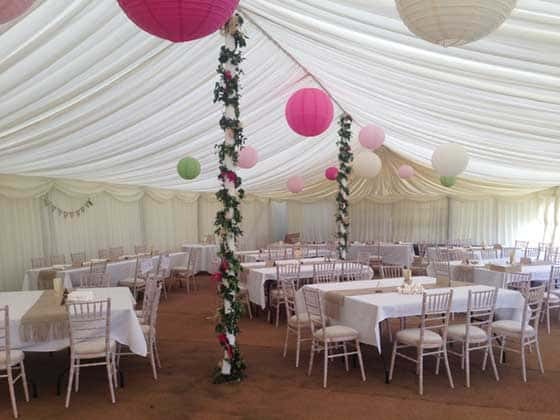 To add style and colour to your marquee we recommend recyclable contract carpet, chosen from a range of over 50 colours to cover hard floors. We cut and fit your choice of carpet to meet your design, sometimes using two colours to great effect. This carpet is recyclable and we return it to be made into pellets for reuse rather than sending it to landfill. On flat dry surfaces, carpet can be laid on plastic sheeting rather than the suspended hard floor. 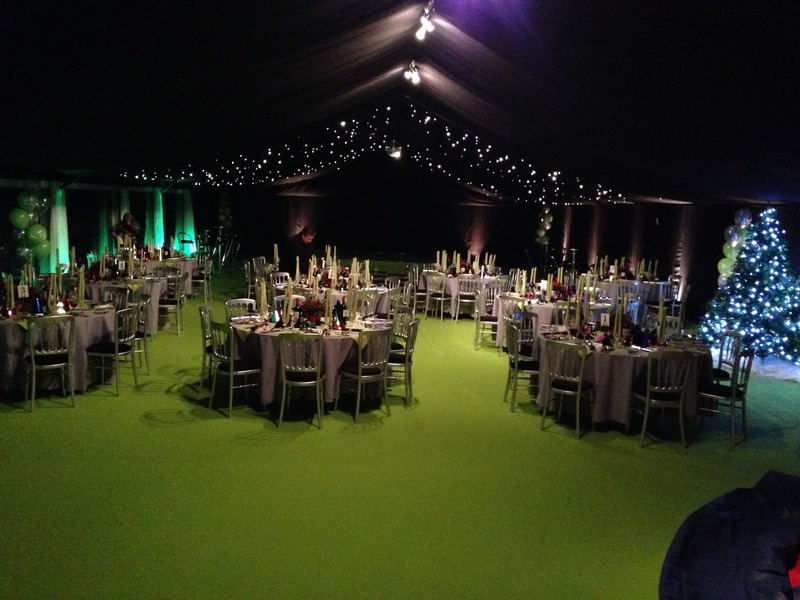 Coconut Matting is the most cost effective way of flooring your marquee as there are no carpet costs. It can work really well for weddings and parties alike. 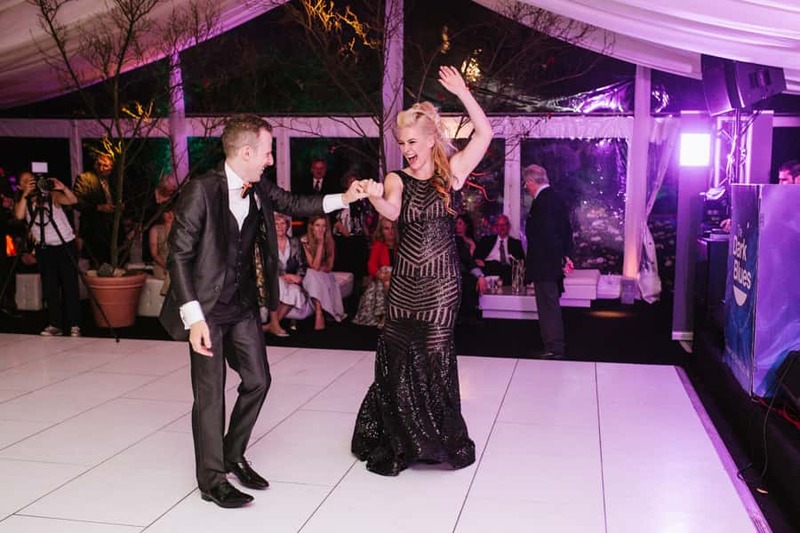 Dance floors are a must for a great party, they can be laid onto any of our flooring options shown above providing the ground is level. We have stock of parquet, white and black and white dance floors.